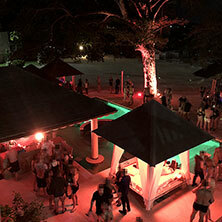 Price includes Bus Transfer to and from the MBJ Airport, all meals, full open bar, entertainment, water sports, themed parties and more... Plus, no tipping! MARCH 2019 IS A COUPLES ONLY EVENT. Reservations from single females & males are not accepted. Enter your information to be placed on the waiting list in case of any cancellations. Calls will be made in the order they are received. The first person to answer the phone and say yes will get the room. 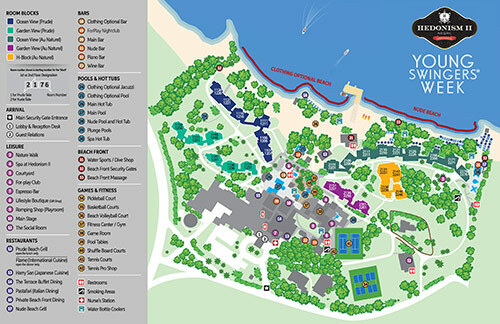 The minimum stay is 5 total nights during the event. *This is for a request only. Tim Air will have to contact you back to make a reservation if available. THIS IS A COUPLES EVENT. Reservations from single females & males are not accepted. Standard Bookings: Reservations made after July 15th, 2018 will be 50% at time of reservation and the balance will be charged between January 1st and January 15th, 2019. Late Bookings: Reservations made after December 31st, 2018 will be due in full at time of booking. Early Rooms Bookings: $250.00 per person deposit is all that is at time of early booking to secure your room (for reservations made prior to July 15th, 2018). An additional 50% will be charged between August 15th and September 9th, 2018 and the balance will be charged between November 16th and December 1st, 2018. Note: Minimum stay is 5 nights during the event dates. You MUST check in by Sunday March 17th or earlier. This group is for couples only. Reservations from single males and single females will not be accepted. Enter your information to be placed on the waiting list in case of any cancellations. Calls will be made in the order they are received. The first person to answer the phone and say yes will get the room. This form has SSL secured encryption for your protection. You MUST check in by Sunday March 17th or earlier. Bookings can include up to 3 days before or after the official dates based on availability. Please contact us for availability on additional days. If you enter a name like Stud, Hottie, or Princess we will not honor them and use your real name. 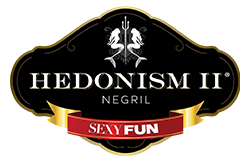 Have you been to Hedonism II before? Use the comment box below to add any information that is not on this form that you need us to know about. No payments will be processed until you are contacted by one of our travel agents to verify your travel arrangements. CVV is the last 3 digits in the signature box on the back of your card. Please make sure that the form ends on the Thank You confirmation page after submitting. By filling out this reservation form you acknowledge and agree to the cancellation terms described here. You must arrive at Montego Bay, (MBJ) airport. Do not arrive at any other airport because your transportation will not be covered. How the payment is made. - Credit cards are billed discretely through the Travel Agency and Not the Event Name - Early Rooms Bookings: $250.00 per person deposit is all that is at time of early booking to secure your room (for reservations made prior to July 15th, 2018). An additional 50% will be due Between August 15th, 2018 and September 9th, 2018 and with the balance between November 16th, 2018 and December 1st, 2018. Reservations made after July 15th, 2018 will be 50% at time of reservation and balance between January 1st, 2019 and January 15th, 2019. Late Bookings: Reservations made after December 31st, 2018 will be due in full at time of booking. Cancellation penalties: Rooms cancelled by August 1st, 2018 with no penalty (this is the first cancel date,) by October 1st, 2018 with $100 penalty per person, by November 1st, 2018 with $250.00 per person, 50% cancellation penalty after December 1st, 2018, 100% cancellation penalty after January 15th, 2019. Upon acceptance of my reservations, I, for myself, my heirs and assigns, hereby release Loco Trips, Young Swingers Week, and any and all of their owners, investors, subsidiaries, representatives and sponsors from any and all liability arising from illness, injury, or death I may suffer as a result of participation at this event. I attest that I am physically fit and I am aware that my participation in activities could, in some circumstances, result in physical injury. All reservations forms are done on an encrypted secure server. (256 bit secure server certificate on an https address). Any term above that we modify for someone does not modify or eliminate any of the other terms. We reserve the right to alter payment dates (later than above). We may also alter amounts per payment as requested by the client (upon written request). By filling out the online reservation form or agreeing over the phone to a reservation you agree to all of the terms and conditions above. Important Notice Regarding Trip Insurance! Trip insurance is not only for cancellation but most importantly covers you for a medical emergency and or medical evacuation which can run in excess of $30,000 from Jamaica. There is trip delay, baggage delay, baggage lost, etc. etc. You can also cancel for many covered cause (loss of employment, car accident, illness, etc.) and have a full refund of all trip costs. From that page you can also download and or view complete policy and all details and sign up for coverage. Coverage is reasonably priced and a good safeguard. We have numerous claims each trip. I am declining coverage and realize that I will not be covered for any cancellation penalties and or medical/family emergencies I have read the cancel policies for this trip and accept the risks.